Being that I have a random Wednesday off from work this week, and owing to the fact that I am just sitting in front of the television watching TCM show World War II era films in honor of the anniversary of the bombing of Pearl Harbor, I thought I'd go ahead and take a few minutes to write up a post. My reading pace this past year is a little slower than usual. I blame it on weariness, but there may be some laziness in there, too. It seems that I start to read, and before I know it, the book is hitting my chest and my eyes are dropping like lead. 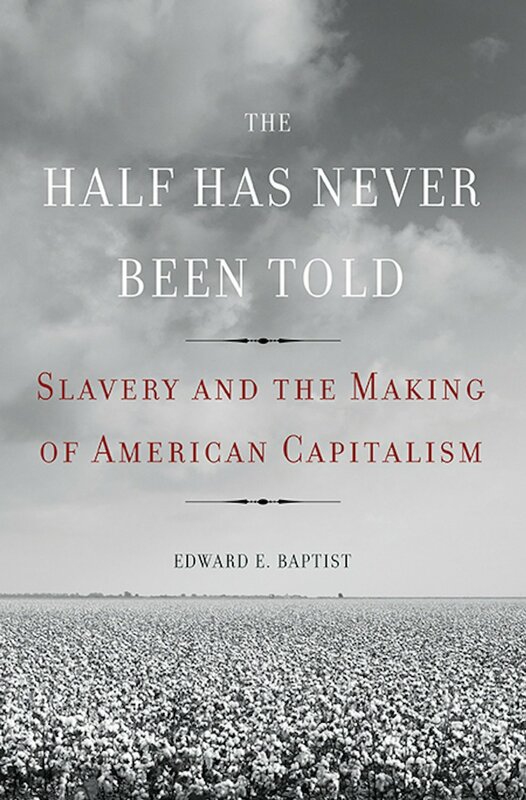 However, there are a few books that stand out among the thirty-five or so on my completed list from the last twelve months; none of which were more memorable than The Half Has Never Been Told: Slavery and the Making of American Capitalism, by Edward Baptist (Basic Books, 2014). I had read several positive reviews about this book and had even placed it on my Amazon wish list, but it was a little more expensive than I wished to pay, even in used condition. During Thanksgiving, while browsing their online catalog, I found it at the Petersburg Public Library. I picked it up the following day and dived in immediately. From the first page it was an enthralling read. 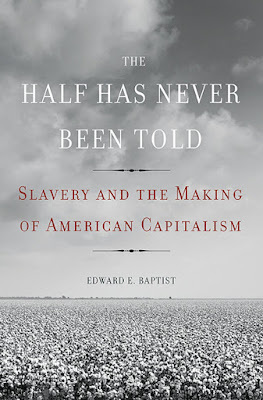 The Half Has Never Been Told is an extremely powerful and and persuasive look at how the expansion of slavery in the seven decades following the American Revolution transformed the Old Southwest into a Cotton Kingdom, which in turn fueled the economy of the United States as a whole, making it a into a world power by 1860. In the process, hundreds of thousands of slaves were both sold and moved from the eastern states to the emerging Cotton Kingdom states, especially, Alabama, Mississippi, Arkansas, Louisiana, and Texas, and whose labor was extracted at higher and higher levels to increase efficiency and thus sustain economic growth. Baptist writes in an engaging style and uses a wealth of primary sources and slave narratives while telling this important story in our nation's history. While reading it, I was curious to see if I could find some ready evidence of what Baptist was writing about. 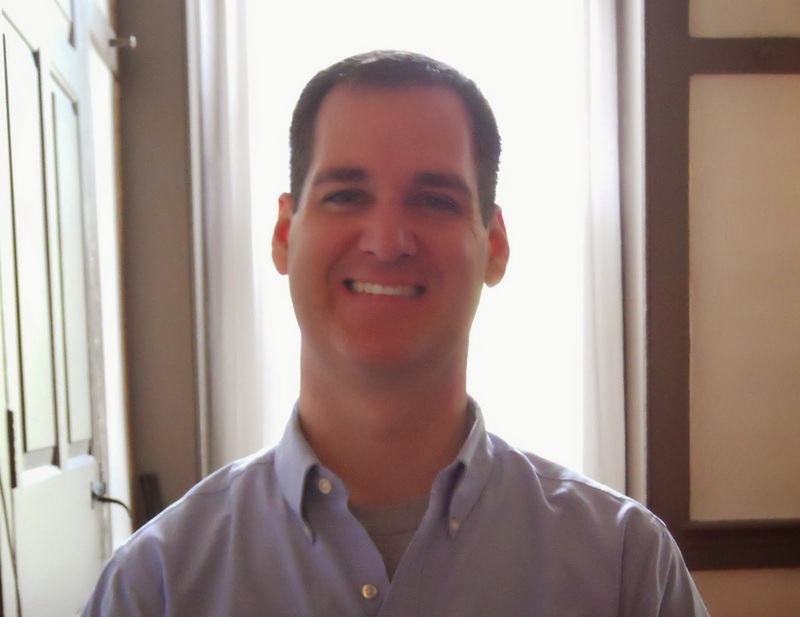 So, I took a break from reading and made a stab into the "Chronicling America" newspaper database on the Library of Congress website. I chose to search a random issue of a Mississippi newspaper from this expansion era and only had to review a few pages before finding the advertisement at the top of this post. It was located in the January 4, 1840 issue of the Piney Woods Planter, which was published in Liberty, Mississippi. Liberty is in Amite County, which is located in southwest Mississippi. The advertisement offered "Virginia Negroes for Sale," by the H. & J. W. Taylor firm. As the notice implies, these slaves were purchased in Virginia and brought to the southwest to labor for those owners who had settled and began clearing the land in the preceding decades. Offered in the advertisement are "house Servants, Mechanics, and Field Hands." The ad claims the interested individuals may call on the traders and that they "may select from about forty as likely Negroes as have ever been offered in the Southern Market." In order to increase their potential customer base, the traders requested that the ad be ran on both sides of the Mississippi River; in Liberty, as well as Baton Rouge, Louisiana. One wonders how many of these forty "Virginia Negroes" left behind fathers, mothers, brothers, sisters, grandparents, husbands, wives, sons, and daughters in the Old Dominion. One can also suppose that those that did leave "Old Folks at Home" never ever saw them again.